If humanity has given the world anything, it’s the ability to turn even the most mundane games into a sport. Rock/Paper/Scissors, the epitome of what you do when you can’t decide who gets to do something unsavoury, now has world championships. Not content with merely kicking a soccer ball into a net, folk now insert themselves into large ones and punt each other into the goal. There are literally leagues devoted to this. People push an iron out onto the ice while sweeping the perfect path to a bullseye – Olympic sport. 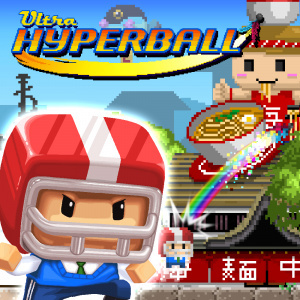 The latest endeavour in mundanity as professional sport is Ultra Hyperball by Springloaded Games. The goal is simple: bang what looks like a shuttlecock as high as you possibly can to reach a predetermined measurement in either an allotted time or a certain number of hits. Perhaps to better summarize the action, think of a deepening of the old “ding the bell” game you’d see at the fair and you’re not too far off the mark. 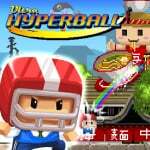 The main game mechanic involved is jumping to hit said hyperball into the stratosphere, with the only nuance really being in how well you time your jump in order to get a “perfect” hit. Surprisingly, Springloaded tries very, very hard to spread out what you can do with such a wafer thin premise, to varying degrees of success. There’s a goofy story mode about a boy named Jay who wants to become a professional Hyperball player late in the game (apparently 17 is retirement age for this excitable sport) come hell or high water. There’s a grid-like structure to unlocking levels and modes that push forth the mostly arbitrary plot while also giving you a little bit of a curve ball with each new set of stages. Not a literal curveball though; that thing still only goes up or down for the most part. At first you just have to stand still and whack the ball in the air, but the game eventually adds in motion with limited success. For the type of precision the game requires, adding movement just feels too finicky. Ultra Hyperball likes to show players the ball flying in the air, but in order to do so the view changes; this adds unnecessary frustration as you are forced to make snap decisions based on unintuitive perspective changes. The game eventually tacks on motion control for movement, which makes it feel worse than it does with an analogue stick, and a dull touchscreen mode that also falls flat. Ultra Hyperball doesn’t linger on any certain way to play for very long, which could be seen as a change of pace or a merciful respite, depending on your perspective. While the single-player story mode will hold your attention for a span with its unlockable characters and changes of control styles, the multiplayer is where the meat of the game lies. There are both competitive and cooperative options for one to four players that take the initial concept and adds extra players. 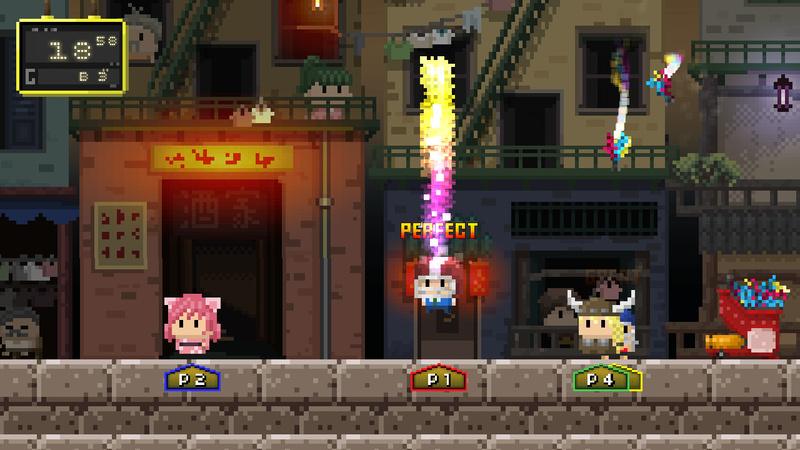 While fun in small doses, it feels like it'd work better as a part of a larger party game; as it is our multiplayer buddies lost interest fairly quickly. While the game play itself is decidedly mediocre, the presentation of Ultra Hyperball is rather nice. 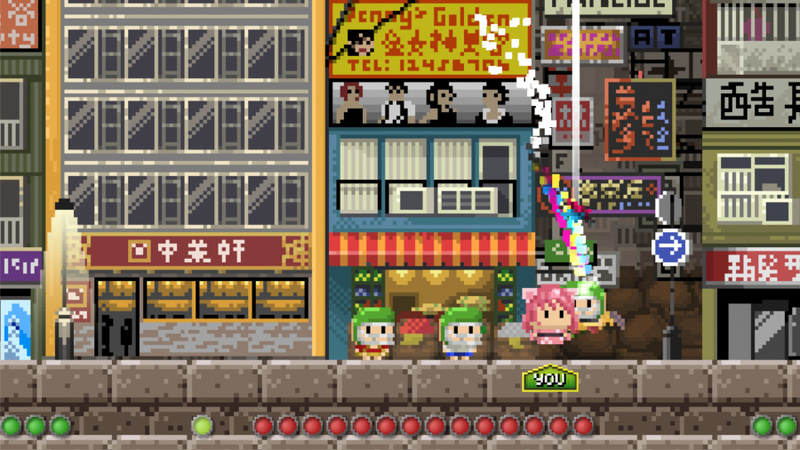 The sprite work is lovely, with cute squat characters (of which there are many to unlock) and a neat assortment of backgrounds with which to play. What’s sad is that it is both a wasted opportunity for this lot of memorable characters to be in such a ho-hum game, and the amount of folk that may pick this up because of its charm only to find it's a lackluster experience. Announced out of nowhere, based on a single gimick? From simply looking at the eshop description of this game I would have guessed it to be about a 5 or 6/10 at best. I thought this looked bad. I guess I wasn't wrong. Another quality AAA game from a big 3rd party. So, you wanna buy ? It's sad that the game only falls apart gameplay wise, which is unfortunately the crucial part of any game. The other two pillars of a videogame, sound and style, are pretty spot one. 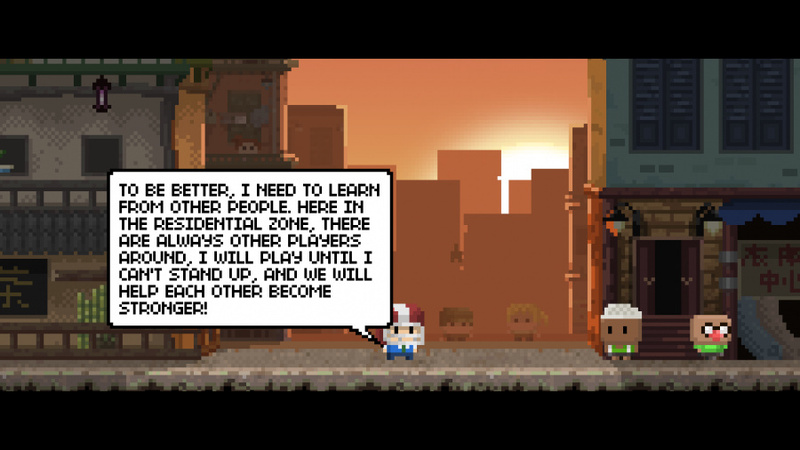 Hopefully Springloaded's second game has a better premise. Sorry guys. It looks like a bonus round from a real 9.99 game. The hell is a shuttlecock? A cork to which feathers are attached to form a cone shape, or a similar object of plastic, struck with rackets in the games of badminton and battledore. This was a fun read. whoever wrote this, "nice job!" I'm glad I skipped out on this when I had the inclination to buy it but decided against it to wait for reviews. 5 seems a little high going off of your review. After reading the review i was expecting a 2, maybe 3 max. I just found out walmart over charging for the switch $394.88 thats crazy. @tonyp1987 the store or its website? You will find things like that on their website because other vendors sell thing there. Kinda like amazon.